April's Picture Spring is here! This is Clough Head at the north end of the Helvellyn range on 25 March. The pilot is Al Westle on his Skywalk. Macolm Grout took the photo from his tandem wing and reports "A nice day with decent conditions, although mainly blue. 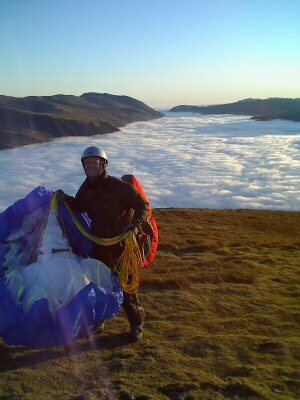 Some of the best tandem flying I have had for a while with a run down to Grassmere to end the day and thermals still working at 17:30hrs." Click on the picture for a better resolution photo. Current news items are listed below. If the Acrobat icon is shown, then click on the icon to read the attachment. This page lists current warnings in place for Cumbria Soaring Club flying sites. Always check this page before you intend to fly and read the Sites Guide for more detailed access information. In Spring, due to lambing, the situation is fluid so always check that a site is open. It will be listed here if it is closed or if there are warnings. Cumbria is a major low flying area for the military so you will need to tell them. See the CANP (NOTAM) tab for details. RED - Site closed. Do not fly! Landing fields are currently in crop and we need to check if these are open to land in! Winder (SD 65407 93282) is a hill at the south end of the Howgills overlooking Sedbergh. The CSC requests that no pilots fly on this hill. 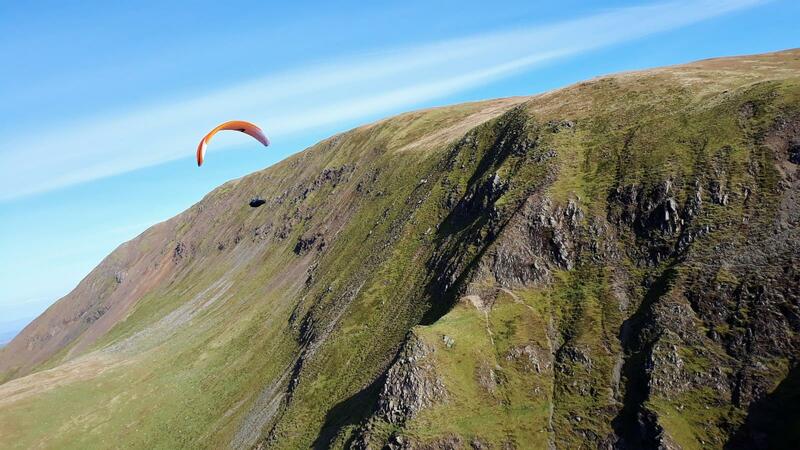 We DO NOT have any permission to fly on this hill and, by ignoring this request, you will seriously put at risk our access to more important and valuable CSC sites both in the North and South Lakes areas. We are lucky to do our flying in one of the most beautiful areas of the U.K. and it is thanks to the goodwill of the farmers and other landowners, who allow us access to the hills and fells, that the CSC sites are open to all visiting pilots. The Club does not, at present, operate a 'Members Only' policy on any of its sites. In order to maintain this situation, it is vital for all pilots to stick to the Site Rules. Please use our online Sites Guide for up to date information relating to access to Cumbria Soaring Club sites. The Cumbria Soaring Club holds an annual event called the 'Lakes Charity Classic'. The aim of this gathering of pilots is to raise money for local charities and, in past years, we have donated substantial sums to; The Calvert Trust and 'Flyability; Mountain Rescue Teams based in and around the Lake District area; local village halls and other benevolent charities. Although you don't have to be a member of the CSC to fly in our area, we welcome members from all parts of UK and abroad and we would appreciate your support. So join our Club and support flying in the area. The Club's annual fees are very low and the flying is fantastic. If you wish to join the Cumbria Soaring Club then please get in touch with the Club Contact or complete the Membership Application Form. We want to help you make the transition from a student with a gleaming, new CP rating to flying in the Lakes and making your own decisions. During the flying season from April to October we run coaching days, generally on the 1st Saturday of the month - see the events page for details. Here, club coaches will introduce you to our sites and help you build confidence. This isn't training - it's the next step to becoming a competent pilot. Also you can join our forum - you don't have to be a member. Here you'll find people planning to fly in our area and lots of information about us. It's a common misconception that the Lake District is "open" land and is owned by the National Park - it isn't! The Lakes is an area of mainly mountains and rough fell with the limited amount of flat valley space at a premium. The main crop is sheep, in particular the Herdwick sheep. This is the bottom end of the farming community. It's hard work and you don't find many rich farmers here. The Lake District Planning Board keeps a tight rein on development so that they can't just replace a wall with a barbed wire fence. By and large the farmers are great folk. They're a bit wary of strangers but if you take the time to talk to them, you'll have a great time. Don't forget that their dominant crop is the annual lambing which just happens to coincide with the start of our main flying season. Lambing comes late to the Lakes with the high fell flocks lambing in April and May. 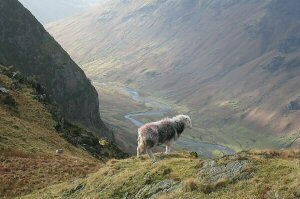 The ewes are generally brought down from the fells into the valleys where the actual lambing takes places. The key part of the process is the subsequent "hefting" where the ewes and lambs go back onto the open fell. Hefting is a traditional method of managing flocks of sheep on large areas of common land and communal grazing. Initially, sheep had to be kept in an unfenced area of land by constant shepherding. Over time this has become learned behaviour, passed from ewe to lamb over succeeding generations. Lambs graze with their mothers on the “heaf” belonging to their farm instilling a life long knowledge of where optimal grazing and shelter can be found throughout the year. This critical hefting period is the one that farmers don't want us to disturb. Their second crop is the grass in the valley fields. So if a field looks long and lush then it's usually about to be cut. Don't land in it as that's the animal food supply for the winter. The walls have taken centuries to evolve. They take a lot of work to rebuild. Don't climb over them. A couple more things to remember when flying here. First, most of the ground away from the valleys is rough. There aren't many sweeping carpets of grass. Be very careful in picking your landing site as a meeting with a rock doesn't help the complexion. Second, mobile phone coverage in the Lakes is poor. The planning board doesn't like the masts so there aren't many of them. Also, the fells tend to get in the way of a good signal. In most valleys away from the honeypots, you will not get a signal. You're unlikely to get a signal until above 1,000/1,500 ft and then only when you can see somewhere populated. If you intend to fly the high fells, make sure someone knows where you're going. Last point on footpaths. If you use a OS 1:25,000 map then the green footpath lines can be a figment of the map draughtsman's imagination. Sometimes, they don't exist on the ground. The green track up Blencathra across Blease Fell is an example. Look for the black pecked lines that are barely visible - this is where the real track will be. A voluntary system whereby civil operators notify their intention to fly at low level (at or below 1,000 feet agl, when crop spraying or powerline inspecting for example), aimed at avoiding conflict with low flying military aircraft. There are two linked systems for letting the military know where we will be flying on any given midweek (non English bank holiday) day. The military don't tend to fly at weekends or bank holidays but the Red Arrows are an obvious exception. Note that the enxt 2 paragraphs are under a (long standing) review by the BHPA and the Low Flying Cell may not recognise the Site Code. Log in to the CSC forum. Go to the Going Flying Section and see if anyone else has notified the site for the day and time that you intend to fly. If the site has already been notified, you don't need to do anything. Activity State "Hanggliding or paragliding". If the site is one of those with a site code then state "Hang/paragliding Avoidance Area" here. Location If the site is one of those with a site code then state that first. Then provide the site grid reference (2 letter 6 figure) and it's name. Quote the grid reference in the site guide as this is the recognised grid reference. Area of operation With the notification system this is a maximum of 2nm radius. With the avoidance area system it is always 1nm diameter. You will be given a unique Reference Number to note. The Low Flying Booking Cell is manned Monday to Thursday 07:00 - 23:00 and Fri to Sun 07:00 -17:00. If you use the fax or E-mail contact out-of-hours you will be called back by phone with the Reference Number when the office is next manned and the associated notification has been passed to military pilots. You can only assume that you have avoidance/notification status once you have received this. If at any stage it becomes clear that the site won‘t be used after all you should cancel by calling 0800 515544, quoting the Reference Number and amending the details. Don't cancel the booking if you have published it on social media - another pilot may be using it. Go back to the CSC forum and record the notification in the Going Flying section. If you put the site name and the date/tiimes you intend to fly in the subject, that will help. The personnel manning the Low Flying Booking Cell are a helpful bunch whose sole aim is keeping us all safe. If your flying situation doesn‘t exactly match the criteria above it is still worth giving them a call for advice - they might still be able to do something to help. As Cumbria is a long way from major airports, both civil and military, it's easy to think that we don't have to worry about controlled airspace. However, if you're planning to ride that magic thermal to over 9,000ft, you need to think controlled airspace. The main issue in Cumbria is military low flying but it is important to consider the dense air corridor above us. Being a mountainous area, Cumbria gets a lot of low level traffic, mainly from the RAF but also from other NATO forces. Most aircraft will be transiting through Cumbria on their way to somewhere else, frequently from bases in Southern England to Scotland, or to the ranges at Spadeadam in Northumberland. Normally, they will be flying in the valleys keeping well away from the ridge lines. If they fly over a ridge they may go partly inverted so that they don't lose sight of the ground. Tucano training aircraft may behave differently - these are the black turbo prop aircraft with straight wings In the early stages of training, student pilots will be flying straight legs between well defined visual waypoints, like Killington Reservoir. From a free flier's perspective these are the ones to watch out for, a) because they're flying over the hills instead of in the valleys and b) because most of their attention will be on flying the aircraft; the look-out may not be getting a lot of their time! Cumbria lies in Low Flying Area 17 and standard low flying height in Cumbria is 250ft agl. Go here for further information about military low flying. The common route in Cumbria is up Windermere, over Dunmail Raise, Thirlmere and past Keswick, frequently going up the gap between Skiddaw and Blencathra. In the Southern Uplands of Scotland, low level flying can take place at 100ft agl. Aircraft can fly at up to around 420 kts which is around 7 miles a minute. Frequently you will hear them long before you can see them. Tucanos will fly slower at around 240 kts. As well as fast jets, you will see Hercules transport aircraft flying at low level and they make a pretty impressive sight when flying up Thirlmere. A Hercules will be trailing a very dynamic wake so keep well clear of their track for several minutes and watch out for the wake being blown downwind. Most sorties are flown during weekdays. They do fly on weekday evenings and at night. Friday afternoons are generally quieter and there is no low flying at weekends. Although you won't see fast jets at weekends, you will probably see the Search and Rescue helicopter flying round the Lakes. Sometimes they will be on an emergency, sometimes training with a local Mountain Rescue Team and sometimes they're having a look round. The good news is that they fly fairly slowly and make a lot of noise. You can usually hear them coming for some time. There's very little you can do to keep out of their way. The best way is to make sure that you register your weekday flying through the CANP procedure which is detailed on the CSC forum. Bear in mind that it can take around 4 hours planning for a sortie and they may have started to walk out to their aircraft at least an hour before arriving in Cumbria. So get your call in early. 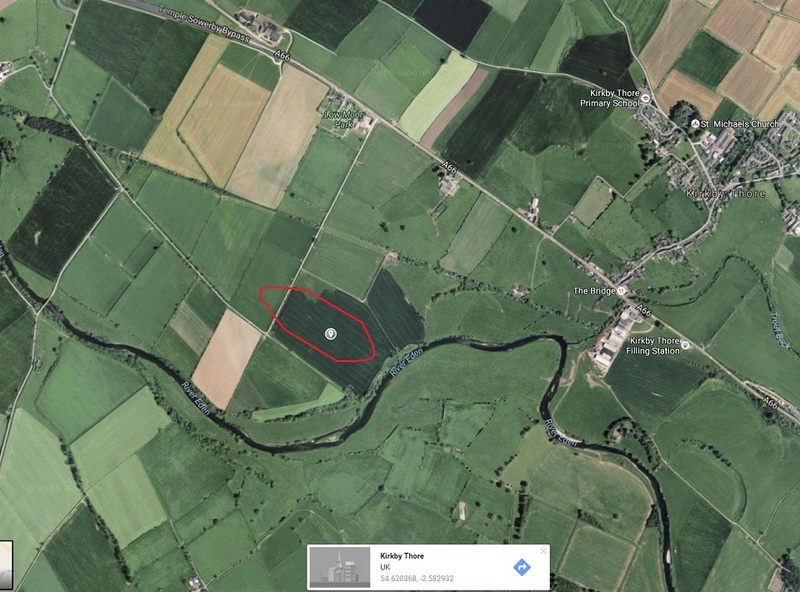 Warcop EG DG407 - This danger area covers an Army Training area on the Pennines to the south of Appleby. It's an extensive area of what could be a good South Westerly flying area. The height of the area is normally 10,000ft but it is occasionally increased (via NOTAM) to 13,500ft. In January 2009, the advertised opening times were Mon-Sat 0730-0200 Sun 0730-1300 in Winter and 1 hour earlier in Summer. Unlike the RAF, the Army do work weekends as a lot of Territorial Army training takes place then. Watch out for this area if you're thinking of flying XC to the East coast. 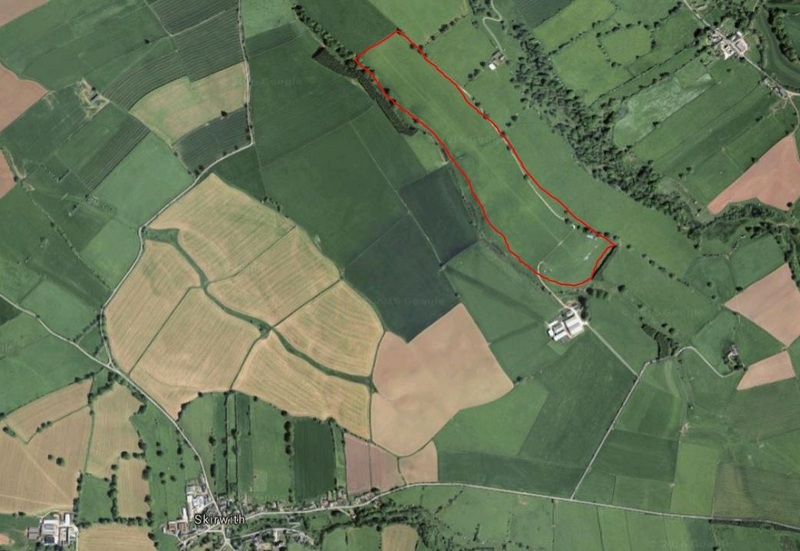 Eskmeals EG DG406 - This danger area covers operations by the Eskmeals gun range. According to the Qinetiq web site, "This facility offers weapon and equipment proving trials over land at short-ranges (to 1.5km), and over the sea for long-ranges (to 49.0km) from 10 operational firing locations." Basically they fire shells out to sea to see if they work properly. You wouldn't want to extend your coast run from Silecroft when they're firing! As most of the operations are out to sea, this area doesn't really affect us. The height of the danger area is 50,000ft with occasional extensions to 80,000ft. Hours are Sep to March 0800-1700 (1 hr earlier on BST) and April to August 0700-1900. 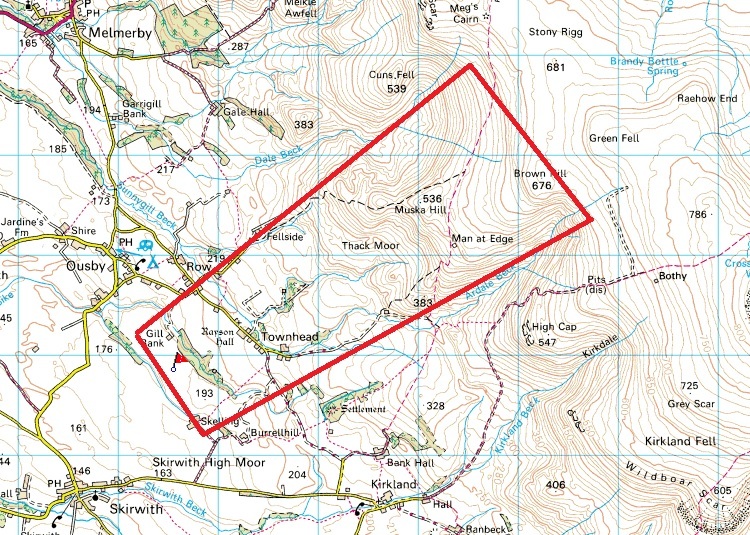 Spadeadam EG D510 - This danger area is tucked away in the north east extremity of Cumbria. You definitely don't want to go anywhere near here on a paraglider or a hang glider! According to the RAF website "RAF Spadeadam is the only facility in Europe where aircrews can practice manoeuvres and tactics against a variety of threats and targets that they face in contemporary warfare. This fascinating facility attracts aircraft from the RAF, Army, Navy and NATO Forces." So think very fast aircraft flying very low, surface to air missiles and pilotless aircraft. The height is 5,500ft with occasional notification to 18,000ft. Opening hours are Mon-Thu 0900-1700, Fri 0900-1600 (1 hr earlier in summer). Another reason for keeping away from here is that part of the site is run by Advantica who say on their web site "With over 20 years experience in studying gas cloud explosions, Advantica are world leaders in the field." Sellafield EG R413 - A circle radius 2 nm centred on 54 25 05N 003 29 44W, height 2,200ft. 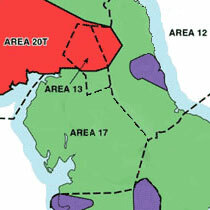 This area covers the nuclear recycling facilities at Sellafield on the west coast, south of St Bees. Barrow in Furness EG R445 - A circle radius 0.5nm centred on 54 06 35N 003 14 10W. Submarine works at Barrow. Carlisle - is located about 5nm ENE of Carlisle and is the largest airport in Cumbria. The web site is http://www.carlisleairport.co.uk. The main runway is 07/25 (i.e. 070°/250°) so most approaches will be made from the ENE. Carlisle Tower is on 123.6. Major development plans are proposed for the airport with expansion plans being approved by Carlisle City Council on 19/12/2008. The airport currently caters for business jets, general aviation and microlights. A number of training/air experience schools are located on the airport. Barrow/Walney - located 1nm to the west of Barrow-in-Furness on Walney island. The web site has disappeared but the Lakes Gliding Club operate from the airfield http://www.lakesgc.co.uk//. 3 runways are in use - 12/30, 06/24, 17/35. An Instrument landing System is provided for runway 35, i.e. to the North. The airfield is used by business aircraft, general aviation and gliding. Watch out for tugs climbing out with gliders. Cark - is located on the southern end of the Cartmel peninsula in South Lakeland. The web site is http://skydivenorthwest.co.uk/. This airfield is the closest to any of our sites as aircraft on final approach will normally pass just to the north of Humphrey Head. The airfield is mainly used at weekends and parachutists are dropped from a variety of heights over or near the airfield. The western airway from Wallasey operates at weekends only and has a base of FL155. You're going to be hypoxic before you get to the base! The eastern airway is a lot more complicated. The lowest part is south east of J36 on the M6, i.e. Farleton Knott; this has a base at FL75. However the base is raised to FL125 from 0700 to 2000 (1 hour earlier in Summer). As you progress towards Lancashire and the Manchester control area, the base is steadily stepping down in height. Other smaller areas have a higher base which shouldn't normally affect us. These aircraft are likely to have the VOR to VOR route programmed into their autopilot, so the pilots may be letting the autopilot do most of the work. Note that the runway is aligned in a NW/SE orientation. Although a stone wall bisects the site (with a gap! ), operations take up the full width of both fields. The winch will be sited at one end and take off will be at the other end. Circuits normally use the NE side of the landing field. Stored gliders are kept at the SE end - so don't confuse these with the take off area. The winch is a blue and yellow device that looks like a big trailer. The winch operates 2 cables so don't assume that everything is clear after a glider has launched. They use a powerful winch which quickly launches gliders to 1200/1500 ft agl depending on the strength of the wind. The rate of climb is fast so don't assume that a glider on the ground isn't going to be a problem. After take off, in prevailing wind direction conditions, the normal procedure is to fly directly to the Thack Moor/Muska Hill/Brown Hill area and work up the hill to gain height in a similar manner - but faster - to our technique. Note that this is very close to the NHPC site at High Cap, Cross Fell. One area to definitely avoid is their final approach. Once committed to landing, they don't have many options for avoidance. Flying is available on all days of the week and they will fly until dark. The normal maximum height above ground level is 400ft although this may be modified by NOTAM. They can operate model jet aircraft and these can fly up to 150mph - so they are small and fast! When they fly jets, the pilot is accompanied by a spotter whose task is to look out for other aircraft. A large windsock is erected whenever they are flying. The runway is 400ft long so should be visible from the air. It would be best to avoid this area. An Airprox is a situation in which, in the opinion of a pilot or air traffic services personnel, the distance between aircraft as well as their relative positions and speed have been such that the safety of the aircraft involved may have been compromised. The airprox system is designed to support the whole of the flying community and is primarily a mechanism for assessing how an airprox occurred and the lessons that can be learned. Paragliders can and do use this system. If you get in a situation where you believe that there was the risk of a collision or where another aircraft could have affected your stability, then you can raise an Airprox report. The airprox web site can be found at https://www.airproxboard.org.uk. We recommend that you contact the CSC safety officer who wil help you with filing a report. The link is for Ambleside. Follow links on the page for weather in other areas. A web site and society dedicated to clouds. Lots of superb photos. The section on the Morning Glory cloud in Australia is especially recommended. Interesting site that shows you actual history and forecast in a set of graphs. You can customise the graphs to add or remove elements. The link will take you to Ambleside. If you want a different location, always add UK in the search box as this is an American site.